Just a few parcels left to acquire by Mt Pleasant. Special TIF paying for land. Equipment at the Foxconn construction site in Racine County ahead of groundbreaking. Photo by Chuck Quirmbach/WPR. 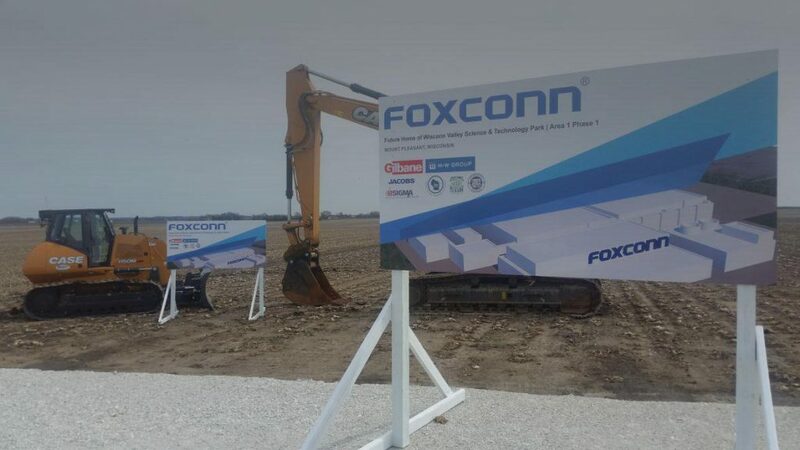 “This is at Highway KR and one of (Borzynski’s) main operations for corn,” said Claude Lois, the project director for Foxconn in Mount Pleasant. Mount Pleasant Has Acquired 85 Percent Of Land Needed For Foxconn Development was originally published by Wisconsin Public Radio.